When good things happen to awesome people like me. Oh yeah. So it was the fourth of July two days ago and it was a big deal for the US. For me, it was just another long day at work and wanting to talk to someone badly. It didn’t happen. Anyway I was really excited about July. The first day started with lots of laughter when we watched this really hilarious comedy skit that poked fun on everything from the government, politics, celebrity scandals, racial differences, medicine to being gay. It was good-natured and well acted out that we kept laughing and laughing. During intermission, we went to get beers. So I ended up watching the second half with this tingly alcoholic buzz that made everything even funnier. I’m so glad we decided to watch it! This July is a time to seriously apply yourself to your duties and responsibilities. Take charge in home, career and community affairs. Be patient and apply yourself to routine and details diligently. Organise your personal life and your career. Tie up loose ends. Start projects that will improve your living situation such as repairing the house or starting a garden. Someone in your circle of friends and relatives needs help. Usually, this is a younger person who has not found stability or purpose in life. This month may well bring an excellent opportunity in your own career. Focus on legal affairs. Discipline and effort are the key words for July. Romance takes a more serious turn. Expectations are expressed and commitments made. It’s kinda true because I do have an excellent opportunity in my career now. But what really got me hot under the collar is that romance takes a more serious turn this month, with expectations expressed and commitments made. Woooooooooooooooo-hooooooooooo! Can’t wait. 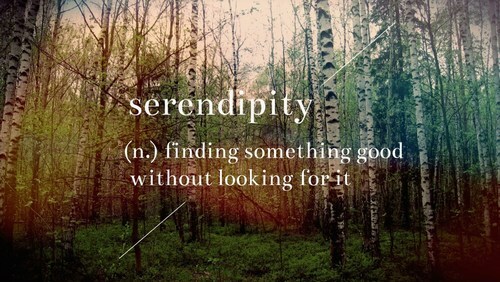 I’ve always loved the word “serendipity” after watching the movie of the same name in 2001, starring John Cusack and Kate Beckinsale. This is a romantic comedy about how two strangers met while shopping and felt mutual attraction for each other. They ended up having ice cream, going ice-skating, and talking about star constellations. At the end of the night, they decided to entrust their fate to destiny and left their phone numbers on a dollar note and in a book because the girl said if they were meant to be together, they will find their way back to each other somehow. Then a few years passed and the two believed they’ve lost each other forever. Both were with other people now but they decided to find each other one last time. So both individuals traced back their steps that wonderful night separately and through a series of mishaps, they felt that maybe the chance is lost.Then things started changing, with them receiving the items they wrote their phone numbers in few years ago. So they set off looking for each other again and just when they thought they have lost hope, the first snowflake fell. And their eyes met at the park where they saw the stars. A year later, the happy couple celebrated their anniversary at the same spot where they first met. I truly believe in that good fortune and good things do happen to you when you radiate positive energy and are not actively seeking them. And when they do, you feel so ridiculously happy because you didn’t expect them and you start feeling lucky. And when you feel lucky and happy, you just begin to feel even luckier and happier. And when you feel luckier and happier, even more good fortune and good things start happening to you. True? Because life is that simple; find what it is that makes you happy and who it is that makes you happy and you’re set. Hehe, I have a sudden urge to watch the movie again. I love that movie. Even though I have seen it MANY times, I always hope that they find each other before the end of the movie. Its silly and frustrating! But I still love it and keep on watching.